In the past decade or so, everyone's favorite cured pork product has cut quite the swath across pop culture. No matter where you turn, you can find some kitschy bacon-flavored products. Yes, this even includes coffee. However, one snack-time staple has remained mercifully free of Babe the pig's delicious innards. That's right. The chip. Those days have come to an end. 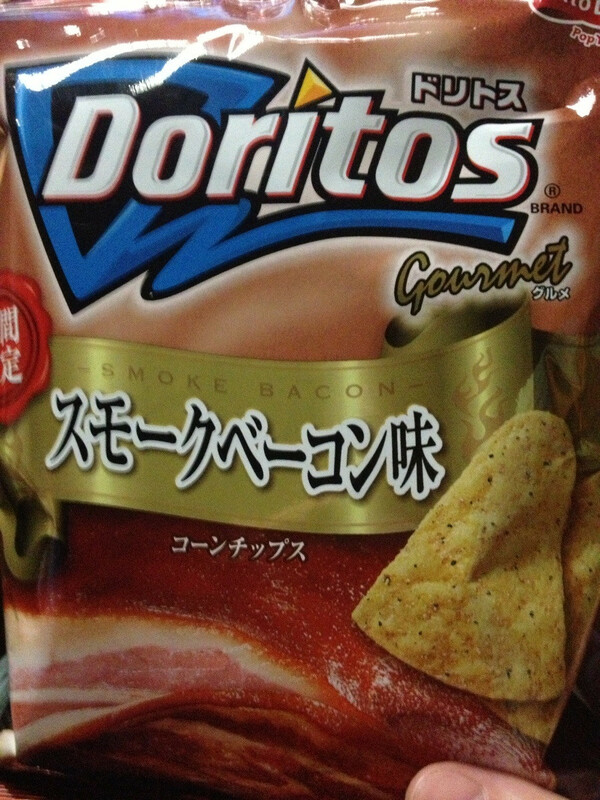 Dorito's of Japan has released a smoky bacon flavor of their signature chip. This is in addition to a pre-existing flavor known as Peppery Bacon. The new flavor is not only bacon-y and smokey, but it's also, uh, gourmet-y. It's called Gourmet Smoke Bacon. I haven't had a chance to try these yet but if they ever come across the ocean and land anywhere within a 100 square mile radius of me, you can be sure I will be chomping.